The Measure of Everyday Life is a weekly exploration of social science researchers and people from various walks of life talking about what makes us tick, how we interact, and why it all matters. 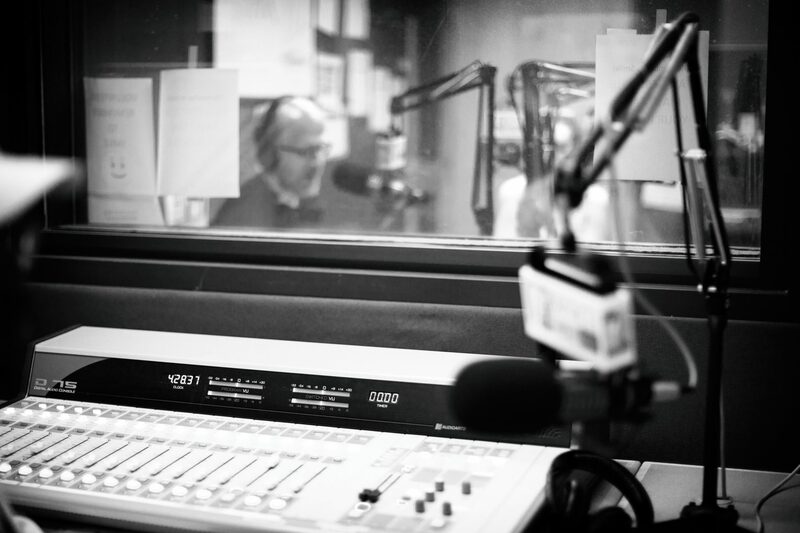 Our show airs each Sunday night from 6:30 – 7 p.m. in the Durham, NC, listening area on WNCU and each show is available as a podcast episode online the week following the original airing. The show has been made possible with underwriting from RTI International as well as other foundation support. Brian Southwell, PhD, directs the Science in the Public Sphere program in the Center for Communication Science at RTI International, an independent, nonprofit research institute in Research Triangle Park, NC. Southwell also is an adjunct professor with Duke University, where he teaches through the Social Science Research Institute and contributes to the interdisciplinary Duke Forge and Bass Connections initiatives. In addition, he is a member of the graduate faculty for the University of North Carolina at Chapel Hill’s School of Media and Journalism and is an adjunct associate professor with UNC’s Gillings School of Global Public Health. Southwell’s award-winning research appears in more than 100 journal articles, chapters, and books on topics ranging from the public salience of Zika virus to modeling human memory for television content. He recently co-edited Misinformation and Mass Audiences. Previously, he co-edited Innovations in Home Energy Use: A Sourcebook for Behavior Change. In 2013, he published Social Networks and Popular Understanding of Science and Health. Brian spent roughly a decade as a faculty member at the University of Minnesota and earned degrees at the University of Virginia and University of Pennsylvania, but originally hails from New York and still values crisp summer nights and candor. In addition to running the control room for the show, Amarachi is a health research professional who has sought to improve equity and understanding. Her work has spanned study coordination in New York City, data analysis for projects in Sub-Sarahan Africa, and efforts to improve adolescent health in North Carolina. She holds an MSPH from the University of South Carolina and a BA from the University of North Carolina at Chapel Hill. A dedicated team has made our show possible since its founding. Previous producer Karla Jimenez-Magdaleno (pictured) helped to organize behind-the-scenes efforts for our first several years. Current WNCU staff members, such as Kimberley Cartwright Pierce and Alshadera Dawson, continue to make our show possible.